We all know that good impressions are important. They can make or break a relationship with our business partners and colleagues, and any entrepreneur knows that they must leave an impact to stay memorable. Your first meeting, regardless of whether it’s with your clients, employees, or partners, is the thing that will shape their opinion of you and serve as an introduction into the nature of your whole business plan. Are you ready to make it into a roaring success? If you are, then you better be well prepared! To help you out, we’ve compiled a list of useful tips that will ensure you leave a great impression. Simply put, you’ve got to do your homework. Go over every single point you want to bring up at the meeting, prepare a presentation if you’re trying to show someone your ideas, and learn all of the statistics and the material you might need. This will show everyone you’re very knowledgeable and it will also give you a boost of confidence—people tend to feel a lot better when they know what they’re talking about. You don’t have to learn any lines by heart and you don’t have to follow a strict list. Simply write down the most important things you want to mention, have faith in your own abilities, and you’ll do just fine. If you want to use this opportunity to encourage people and bolster their enthusiasm about a new project, then memorize a few good quotes that you can say during the meeting to inspire everyone. While knowledge is the most important part, people tend to take you less seriously if you lack certain polish. Being well-dressed means being professional, so don’t underestimate the power of a sleek, elegant outfit. Pick a tailored suit that enhances your attributes and makes you stand out, and everyone will immediately be impressed. This is absolutely essential! Tardiness is one of the absolute worst qualities in the business sphere because it shows great disrespect and paints a very negative picture of you. Arrive to every meeting, especially your first one, at least half an hour earlier so you could prepare everything and go over your notes once more. You must arrange yourself good transport that will get you there in a timely manner, and if you don’t have your own vehicle, feel free to use a service like Avis car hire to ensure everything goes smoothly. Getting there early will also enable you to greet every person who arrives as soon as they walk through the door, which presents you as a pleasant, responsible host. When people enter, give them a pleasantly firm handshake and greet them by their name. This will immediately establish a connection and make people feel more important, and you’ll come off as a very thoughtful person. That initial physical contact coupled with the sound of their name will ensure that anyone who comes will like you more and want to listen to what you have to say. If you’re constantly getting distracted by notifications, then you’re not paying attention to what’s going on around the room. Leaving your phone on the table is also disrespectful towards your partners, so simply turn it off and put it in your briefcase. Unless you’re expecting a very important call, there’s no reason to keep it on the table. During the meeting, it’s important to present your ideas in a clear and concise manner. You want to get your point across, but that doesn’t mean that you should speak for two hours straight without taking a break. You’ll bore everyone to tears, and at one point they’ll stop caring for what you have to say. Strike a balance between speaking out and listening to what others have to say, and leave a lot of room for others to ask you questions. And here’s another thing—ask them questions in turn. This will prompt people to get into the discussion and contribute their own opinions, and it will feel more like a productive meeting rather than a lesson they have to sit through. This will leave a good impression at your business meeting that will last for weeks, months, or even years. When you close the meeting, it’s important to end it the right way. You want to leave everyone with a sense of purpose, so talk about an action plan and mention the concrete steps you want to take towards success. Encourage everyone to do research and to come into the next meeting with their own ideas, and always be very courteous, attentive, and above all, positive. Give them your good vibes and they’ll be eager to work with you. Whoever you’re meeting with, bear in mind that you are a representation of your company. The way you carry yourself can either impress everyone and make them eager to contribute to your success, or make them bored and uninspired. As long as you follow these tips, you can present yourself in the best possible light. 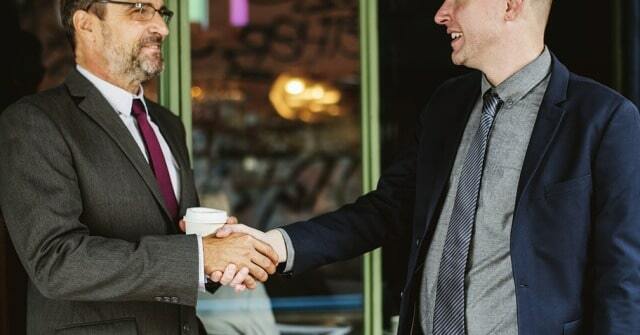 I hope you enjoyed this blog post about how to leave a great first impression at your first big business meeting or presentation. Interested in more articles about making a strong first impression?